Get answers to frequently asked questions about permanent fall protection, PPE, legislation per country and general fall protection questions. What is the best fall protection system to use? Is training required to use fall protection? What to do when a fall has occurred? How often is maintenance to a fall protection system needed? What is a roof access policy? This depends on the situation. 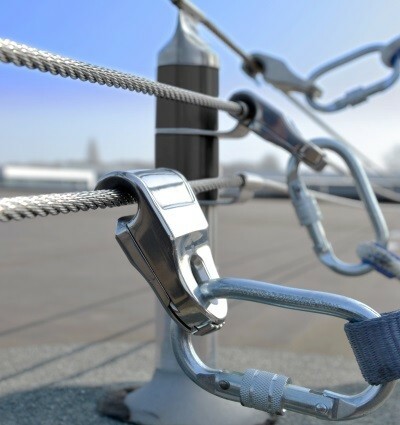 Many fall protection solutions are available for all sorts of situation. Always ask a fall protection expert to check the situation and advise which fall protection system works best. 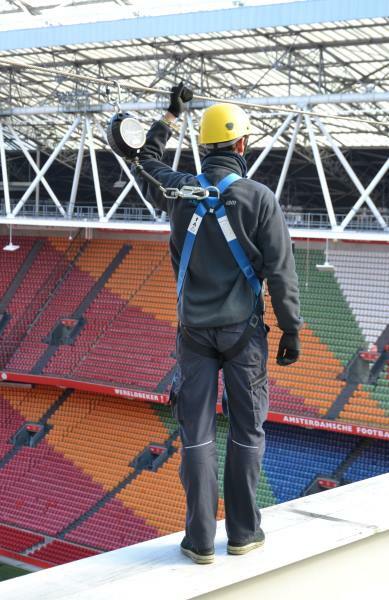 XSPlatforms has experts all over the world, so if you need advice on fall protection, contact us. To use lifeline systems or single anchor points and corresponding PPE, fall protection training is mandatory in most countries. First, always make sure you have a rescue plan in place in case a fall occurs. When somebody’s fall is stopped by the system, make sure it is checked by a competent person and repaired where needed. Only after certificating the fall protection system again, it can be used. We advise to have your fall protection systems checked regularly to warrant the safety of the system. In many countries, systems need to be certified every year. XSPlatforms’ fall protection experts are trained and certified to do regular checks and certify fall protection systems. Contact us if you want more information about service and maintenance. A roof access policy helps creating a safe working environment for those who work at height. It is a policy that reminds workers of what measures have to be taken to prevent accidents and work safely. For more information about a roof access policy and to download a roof access policy checklist, check out this article. What is the difference between permanent and temporary fall protection? What types of roof are suitable for the installation of fall protection? What type of fall protection can I use for work on a ledge? Can I use an anchor point for rope access? What fall protection is suitable for a sloping roof? Can fall protection be incorporated in the early 3D models of a structure? Permanent fall protection is permanently fixed to the structure and ready to be used. It is installed when regular access is required. Temporary fall protection are systems that have to be deployed or installed when work at height must be performed. After use, the equipment is removed. The main difference is that a fall arrest system is designed to stop a fall and a fall restraint system prevents a person from getting in a dangerous situation. For both systems, specific PPE is required. Read this blog article for more information about fall arrest and fall restraint. 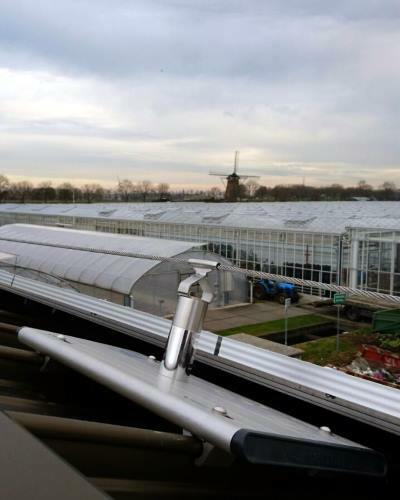 Almost all roofs can be equipped with a fall protection system. In case of horizontal lifelines, we offer special baseplates that can even be mounted on standing seem roofs. When no guardrail system is installed alongside the ledge, it’s recommended to use a wall- or ceiling mounted lifeline system. The exact configuration of the system depends on the situation and the demands. Only when it is equipped with a special RAP-globe. Any other configuration of the anchor point is not suitable for rope access. First, define whether a roof is a low-sloped or steep roof. The required safety measures for a low-sloped roof are the same as for a flat roof. For a steep roof, different safety measures are required. Always consult the applicable safety standards to define whether a roof is qualified a low-sloped or steep. 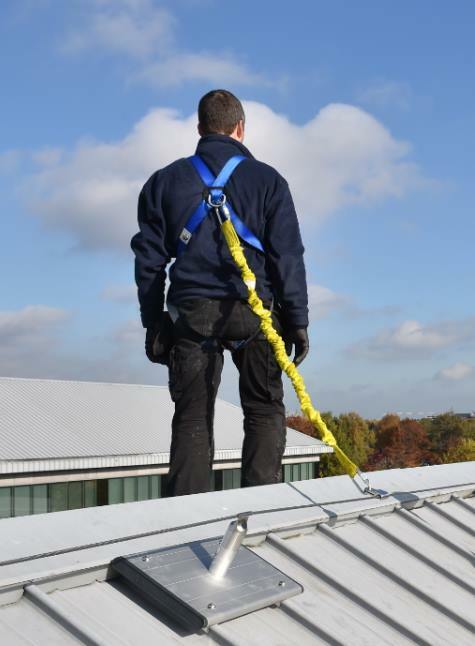 For more information about fall protection on a sloped roof, read our blog. Yes, we have created 3D objects of our fall protection range to be incorporated in the 3D model of a building. The models are built with AutoDesk Revit and can be downloaded here. What PPE do I need for using a fall protection system? What is the best way to maintain fall protection PPE? Can I re-use PPE that has been subject to a fall? What lanyard do I have to use? When do I need to replace a safety harness? What types of connectors are available? What PPE is needed for rope access work? What PPE can I use when there is no permanent fall protection system? Is there specific PPE for rescue purposes? Is training required to use PPE? It depends on the type of fall protection system that is used. In case of the use of anchor points or a lifeline system, a safety harness, lanyard and connectors have to be used. What type of equipment is also determined by the configuration of the system: is it a fall arrest or fall restraint system? For both systems, other PPE is required. First, it is required that PPE is checked for damages before each use. Also, annual checks and re-certification are mandatory. To maintain fall protection PPE, make sure to clean and dry it before storing in a cool, dry place. Not before the PPE has been checked and re-certified by a competent person. Always make sure to report when PPE has been subject to a fall and don’t use it before it has been released for use. Various type of lanyards exist and each lanyard has its own purpose. For fall arrest systems, a 2 meter (6 ft.) lanyard is generally used. In case of a fall restraint system, longer lanyards in combination with a rope grab are used. Also, forked lanyards exist. These can be used for assembling scaffolds or in combination with two automatic fall arrest devices. Forked lanyards are always tied off to an anchor point and provide ultimate safety, even when the user needs to switch between anchor points. A safety harness needs to be replaced when it has been subject to a fall. Also, when the harness is damaged in any way, it needs to be checked by a competent person to determine whether it is safe to use. Read our blog about when to replace a safety harness for more information. Various connector are available for different purposes. Karabiners are the most used connectors. They come in several variants: with a double-lock mechanism or triple-lock mechanism. Also, you can choose for aluminum or steel. Also, scaffold hooks are regularly used for connection to fall protection systems or structural parts. Click here for an overview of all available XSPlatforms connectors. Specialized PPE is needed to perform rope access work. First, the system need to be suitable for rope access work. A RAP-globe must be present or a rail system must be used for rope access. As it comes to PPE, a harness with a special rope access D-ring is needed. Also, kernmantle rope, rope clamps, ascender and descender handles have to be used. Check out our rope access PPE assortment here. Temporary anchorage is available when no permanent system is available in the form of slings, jamb anchors or wedge anchors. What type of anchorage to use, depends on the situation. Yes, special evacuation and rescue PPE is available. XSPlatforms offers various equipment that is suitable for rescue purposes (from confined spaces). Check out the assortment here. It is obligated to follow training for the use of certain fall protection systems and corresponding PPE. XSPlatforms is able to provide training for the use of fall protection. Contact us for more information and the possibilities in your region. Who is responsible for the installation of fall protection? In most countries, fall protection is obligated when work is performed at a certain height. For example, in the USA, fall protection is mandatory when work is performed at 6 feet (1,8 meter) or higher above the surface below. Always check the local standards and legislation in your region to determine whether fall protection is required. This depends on the local safety regulations, but in most cases the building owner, facility manager and the employer have a certain degree of responsibility.